Back after more than two months, the Friday linkwrap! So, I've been pretty delinquent about these, but at least I've had the decency to keep stashing things I found worth reading at Reading Feed, with backlogs at Reading Feed (March 2015) and Reading Feed (February 2015). WSJ | China to Start Keeping a List of Badly Behaved Tourists sounded pretty scary -- until I read the article and realized that the measures are directed at Chinese citizens abroad, not visitors to China. And then it all sorta made sense, conditioned on China being, 'yknow, China. The next set of fossil fuels in line is referred to as resources, rather than reserves. The difference is that they are recoverable with today’s technology, but not at current prices. There is 3.1 degrees’ worth of warming if the oil and natural gas in this category are utilized, which would lead to a total increase in global temperatures of 7.6 degrees. This warming does not even consider our coal resources. A middle-of-the-road estimate of the coal that qualifies as resources indicates that its use would lead to an additional increase of 8.6 degrees. Thus, the use of all reserves and resources would lead to a total increase of 16.2 degrees. Today’s climate and planet would very likely be unrecognizable. 16.2 degrees Fahrenheit is a lot -- that would probably have made Boston's snowiest winter in recorded history a lot less snowy. Robotic, flapping butterflies. Robotic. Flapping. Butterflies. Butterflies. ...and the designer, Nikki Sylianteng (who's released the designs CC-noncommericial! ), runs a blog about them which is pretty neat. 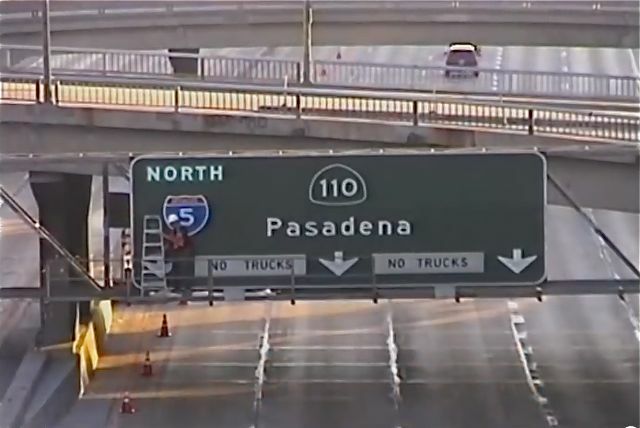 ...to correct bad labeling by the DoT that was causing commuters to miss their exit. But the story of how he made such a perfect copy is actually fantastic and well worth a read. 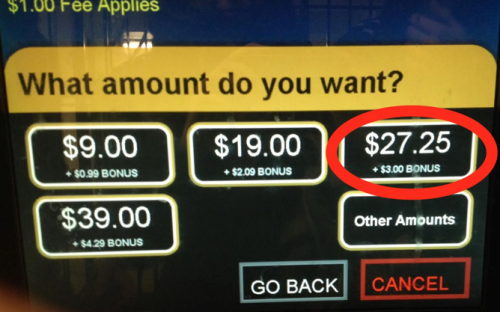 And, in yet more transportation news, I Quant NY declares victory in the $19.05 fight, with a patch to MTA machines that allows you to purchase exactly 11 rides, without any change left on your card. And from Medium: Why And How to Protest (and Rightfully Screw the MTA over for) the 2015 Fare Hike. tl;dr It's illegal to sell a MetroCard swipe (whether you're on a fare-limited or duration-limited card), but apparently it's not against the Conditions of Use to give away "unlimited" swipes for free. Though it does leave you unable to use the same card again for 18 minutes, so you have to do it on your way out of the station. And, very technically speaking, you aren't allowed to use it again until the person you swiped gets off their train. But details, details...I guess you're within your legal rights to occasionally rip off the MTA $2.50 $2.75 -- moral rights still up for debate. Because come on: Number of musicals about gay people in New York I know every lyric to: 1 more than any other city on this list. Some recipients of insecticide-treated anti-mosquito bednets use them as fishing nets instead; Against Malaria seems to have headed off the problem with better pre- and post- distribution survey checks. Why does the ISS have such a weird shape? TrueCrypt, that old dinosaur, is probably secure. The TSA collected $638,142.64 in change left in airport bins. How to use a burner phone properly. The Met makes 422 art books available for free. The history of Xerox is really cool (and I have a post). Ravens Linesman John Urschel loves math, still plays football. LessWrong runs a reading group for Eliezer Yudkowsky's book, Rationality: From AI to Zombies. Approximately 10% of engineering students at MIT have a 4.95 / 5.0 GPA or higher. Scott Alexander explains how a rogue AI could take over the world, even without access to Terminator-style physical machines. Hex codes for every major sports team. Virtual Reality startup Wearality Kickstarts their new fold-up-and-stick-in-your-pocket, sub-$100 VR headset.